Coupons valid until June 21, 2019. May redeem multiple coupons per person. Valid for men and women. Call to reserve your spot on the day of your choice. Reservation required on 71 777 037, quote Gosawa coupon. Coupons must be printed. No carry over. VAT included in price. Standard terms & conditions apply. Improve your balance, flexibility and strength through a holistic treatment! 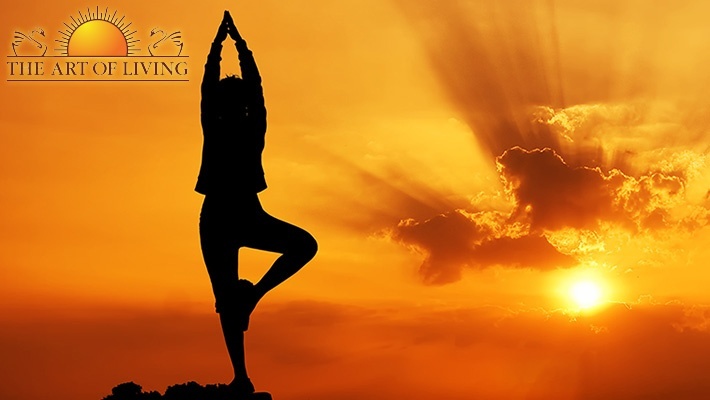 Benefit from these Yoga Sessions at The Art of Living, starting from $6.66 instead of $13.33. Tranquility for your body and soul! 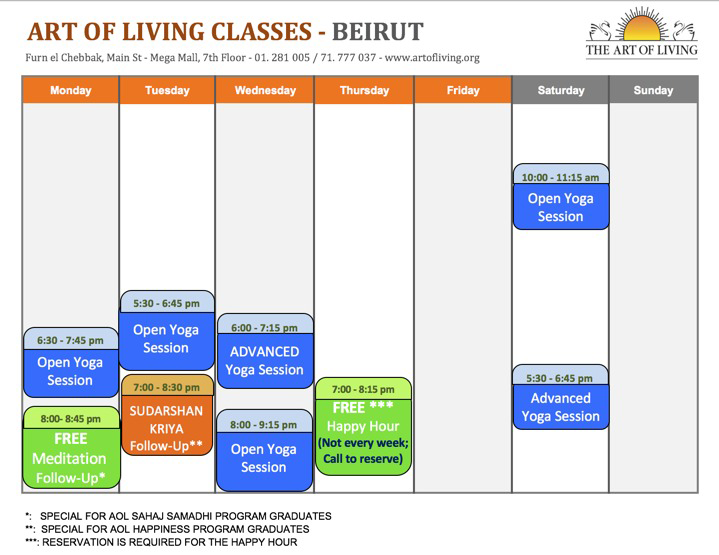 The Art of Living's programs are guided by Sri Sri’s philosophy of peace: “Unless we have a stress-free mind and a violence-free society, we cannot achieve world Peace.” To help individuals get rid of stress and experience inner peace, The Art of Living offers stress-elimination programs which include breathing techniques, meditation and yoga. These programs have helped millions around the world to overcome stress, depression and violent tendencies. They provide several courses and workshops; The Happiness Program, Art of Living Yoga (Classes & Workshops), Art of Meditation, Art of Silence, Youth Programs, Weekly Yoga Classes, Weekly Sudarshan Kriya (for Happiness Program graduates), Knowledge Series and more.